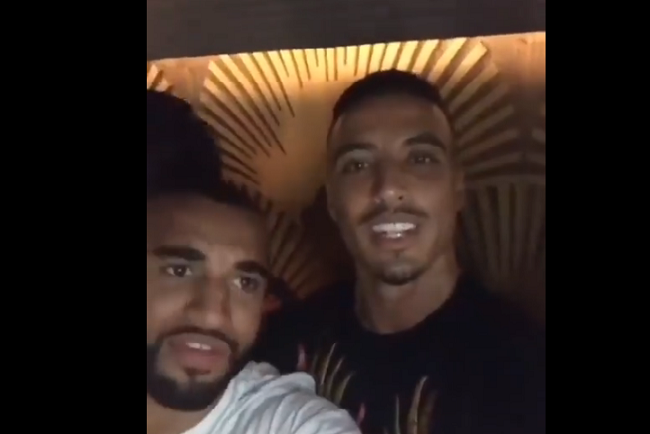 Rabat - After the Moroccan football team’s dressing room celebration in Abidjan, celebrations continued in an upscale restaurant in Casablanca where the whole team and its staff gathered for dinner and a party on Sunday night. 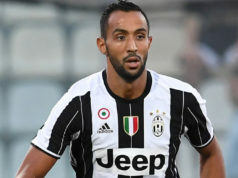 Rabat – After the Moroccan football team’s dressing room celebration in Abidjan, celebrations continued in an upscale restaurant in Casablanca where the whole team and its staff gathered for dinner and a party on Sunday night. A series of videos posted on social media show the members of Moroccan national team along with their coach Herve Renard joyfully celebrating their victory against Cote d’Ivoire on Saturday. One of the videos captures Faycal Fajr as he sings for his teammates. All the team’s players can be seen dancing and singing in a cheerful atmosphere. 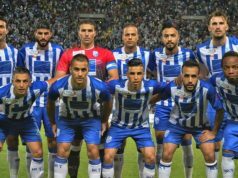 In one of the videos, the team is seen signing the Moroccan national anthem. The team arrived in Morocco on Saturday night and was greeted at the Rabat-Sale airport by a crowd of fans. 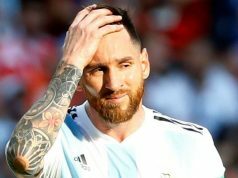 Their World Cup qualifier was not like any other game as it both made them in the top of their Group C with 12 points and qualified them to the 2018 world tournament, which is is scheduled to take place in Russia. 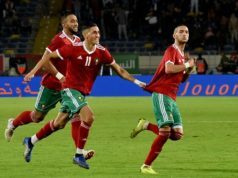 With this win, the Moroccan team has made the whole nation proud and More confident than ever that their national is able to honor Morocco in the 2018 World Cup in Russia. This is the fifth time Morocco qualified to the World Cup after Mexico 1970, Mexico 1986, United States 1994, and France 1998. In Mexico 1986, Morocco became the first African and Arab team to qualify to the second round of the World Cup after they came out as first in their group, which was comprised of England, Poland, and Portugal.